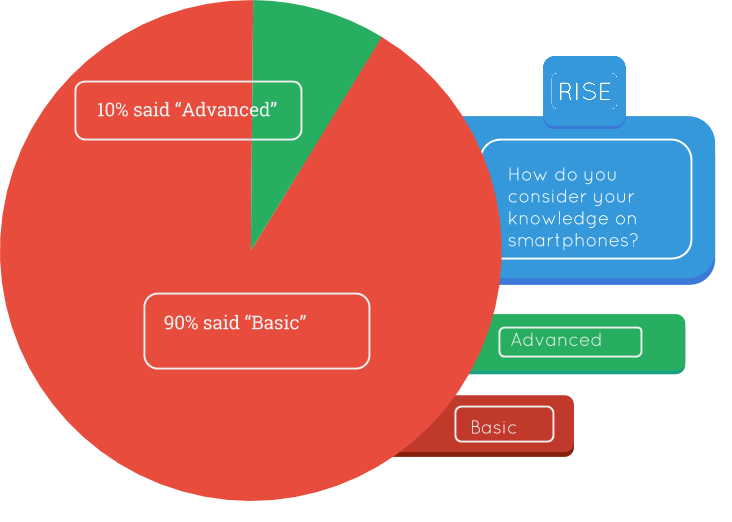 9 out of every 10 Americans said they have a basic knowledge on smartphones. Considering knowing technology in a technology-driven world is vitally important. That's why RISE has your back. Just what the 21st century ordered. Textbooks are lame and expensive, that's why we researched how we can do better. Thanks to its innovative and fashionable UI, everything from the tiniest details to the user experience is optimized for humans. Need to know what in the world is a Snapdragon 805 but don't want to know how to root? RISE can do it. Add any topics or remove once you mastered them at any time. An app should be shaped by you, not the other way around. With myRISE, RISE will learn what you need to know so it can meet your needs. Everyone is unique, so why teach everyone the same thing. Just like your childhood's superhero, RISE has a sidekick. Our little companion, Myse, will be working to make RISE even more useful by giving you tips to clarify technical terms. Every smartphone is different. That's why with RISE you will get a unique experience just for your iPhone or Android smartphone. If you ever switch phones, RISE will automatically adjust itself to suit your device. So good it should be universal. RISE is incredible, so why limit it to phones? That's why RISE can be accessed through any device. Gave your phone to your child? 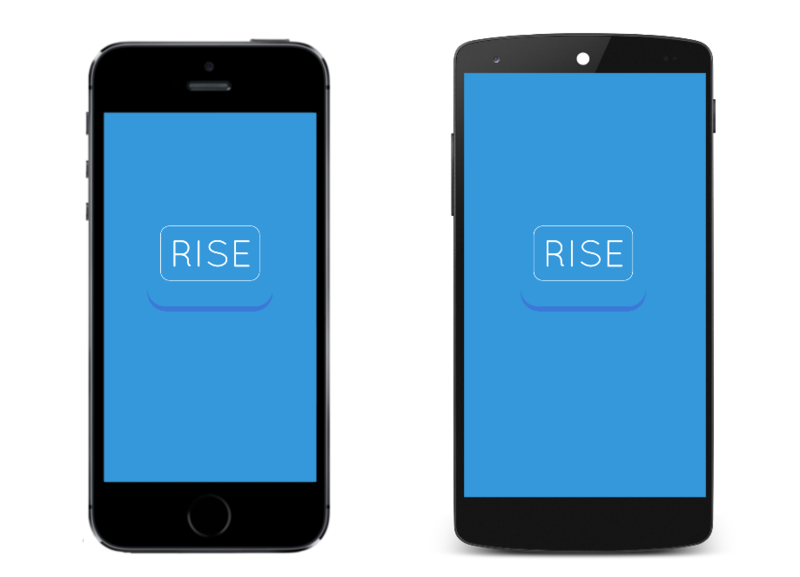 Don't worry, you can still use RISE on your iOS or Android tablet. Need a bigger screen? Get the RISE experience on your Mac or PC desktop and laptop. Good things come in every package. 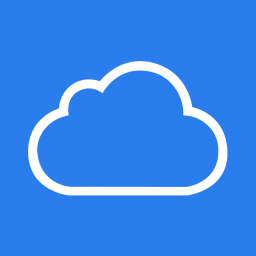 With Cloud automatically set up, you can access and progress through any device. And there's no need to worry for crashes or lost data, Cloud automatically saves your progress. Everyday, RISE will discover something new for your phone. Based on what you search and your phone itself, RISE will work to find even more results. Did you search for "cases"? RISE will show up cases for your phones and even separate them by categories. Be the first to download trending apps, or simply find something cool.